Beetroot can be converted into sugar and comes packed with calcium, iron, vitamins, A and C. Beetroots are an excellent source of folic acid and good source of fibre, potassium and manganese. Best time to grow beetroots are from July through August. For winter storage, it can be grown all year round. 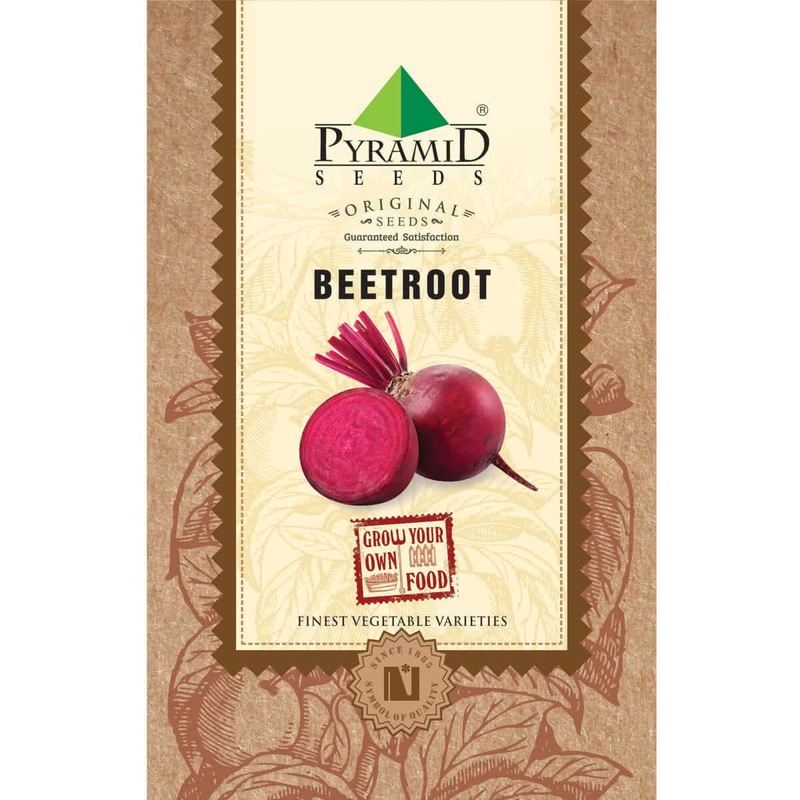 Introduction and Uses: Beetroot makes an attractive addition to the vegetable garden. Favoured for its edible roots the plant produces ornamental leaves with red, yellow or white veins are used for various culinary purposes. Beetroot can be classified into two main types - globe and long rooted. Once only blood-red root was available, but now we have orange, yellow, gold, white and even concentrically ringed roots of varying shapes. It is a versatile vegetable that is easy to grow. Beetroots contain nitrates, chemicals that are converted to nitrites and hence it is excellent for the brain. Research has proved that nitrites help the blood vessels stay supple and flexible, which keeps the blood pressure maintained. 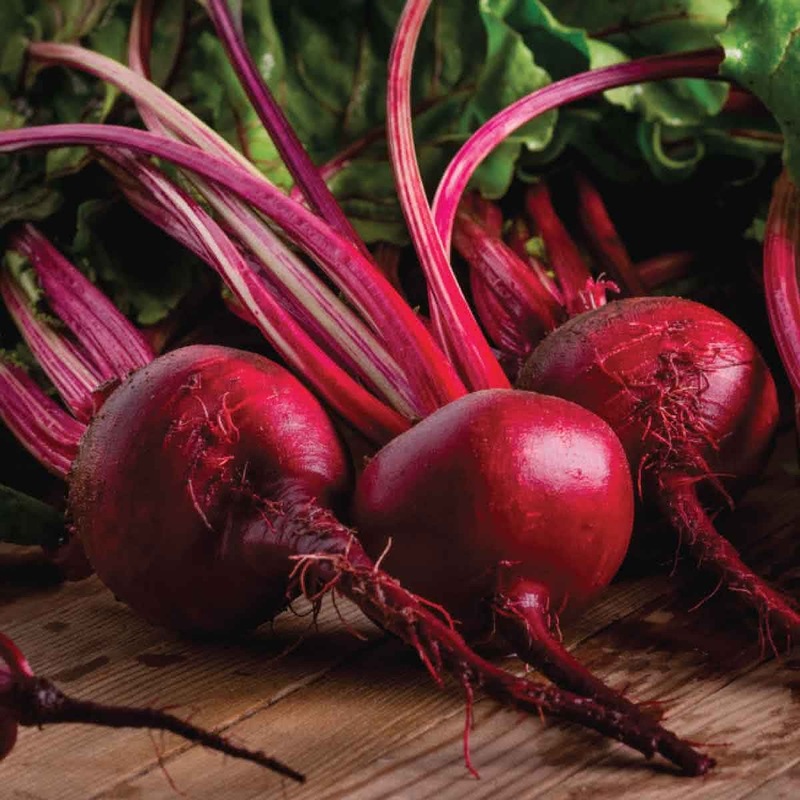 The brilliant hue of Beetroot comes from pigments called Betalains; these protect the body from certain cancers. Sowing method: Sow the seeds directly in raised beds or in containers. Fill the container with selected (i.e Coco Peat, Pot-O-Mix, Soil Mix etc.) growing medium. Push the little seeds 0.5cm deep in soil medium with your fingers & completely cover them with surrounding soil. Seeds will germinate within first six days or even much earlier & tiny seedlings will be visible with first leaves. Harvestable Beetroots will gradually develop. Sunlight: Beetroot plants require full sunlight (6-8 hours) in winter, so place your containers accordingly. Watering technique: Water your Beetroot container / raised bed every day in the form of a light shower with watering can. Use sprinklers for watering the Beetroot plants outdoors. Manuring: Add optimum quality organic manure with 2:1 ratio before sowing the seeds. Use organic manure like the well rotten cow dung manure, farmyard manure, Compost or a Vermicompost. Plant care: Look for the early signs fungal / insect infestation. Spray appropriate medicines as soon as any symptoms are visible. Harvesting: About 80-90 days after sowing, Beetroots can be harvested by uprooting. You need to uproot them from the soil along with the whole plant. Microgreens: Grow microgreens Beetroot indoors in flat containers. Sow-scatter the seeds in a crowded manner. You can harvest it in 10-15 days by uprooting the baby plants.